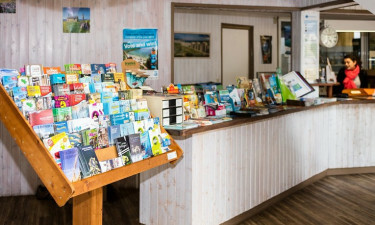 Close to both the sea and the archaeological sites for which this region is famous, Des Menhirs from LUX-camp offers luxury camping in a range of accommodation options, including a bungalow tent or mobile home, for example. 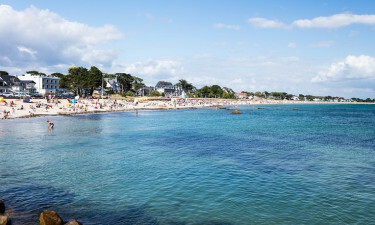 Our luxury camping site is set on the beautiful coast of Brittany with all the facilities of resort town Carnac at hand, yet retains a secluded feel, making it great for families and groups. Book with LUX-camp to guarantee your spot. Why choose a camping holiday at Des Menhirs? Dotted around the village of Carnac, you will find groups of prehistoric standing stones. These are the menhirs after which this luxury camping site is named. Arranged in lines and patterns, or as dolmens thought to be ancient tombs, the stones have fascinated archaeologists and tourists for centuries. A walking or cycling tour is the best way to see and explore these mysterious monuments, while the museum in Carnac will help you to appreciate and understand them. Rugged rocks make a stunning backdrop to the seas along this stretch of France's western coast. The clean, sandy beaches are perfect for family days spent swimming or paddling in the shallows, sunbathing, and making sandcastles, or for evening strolls enjoying the view. Surfing and windsurfing enthusiasts appreciate the wind and wave conditions that make this area ideal for water sports. Learn to sail and pilot your own craft, or join a sightseeing cruise around the bay. A good swimming pool is an essential part of real camping luxury, and ours has something for everyone. Both the indoor and outdoor pools are heated, for guaranteed fun whatever the weather, and each has its own paddling pool for smaller children. 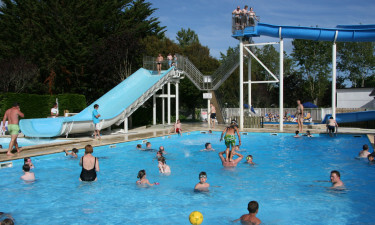 The outdoor pool also features two giant water slides for all the family to enjoy, though it enjoys a great appeal among the younger visitors! Adults can chill out in their own spa zone, with its sauna, solarium, and whirlpool baths, as well as massages and therapy. There's plenty to do at this luxury camping site, with facilities for table tennis, volleyball, and the traditional French pastime of petanque. Children have their own club, and there's a games room for pinball and videogame fans, as well as evening activities. When you just want a quick bite, we offer takeaway meals. For something a bit special, the shops and restaurants of Carnac are within easy reach. Our mini mart is stocked with everyday essentials to add convenience to your stay. Grab a snack, or the ingredients for cooking a meal at your pitch. Fresh bread and pastries let you experience a real French style breakfast. All you need to relax completely is a magazine from the camp newsagent.